If you are looking for information on the Christmas Light Pros franchise business opportunity, Christmas Light Pros franchises or Christmas Light Pros franchising, then you have come to the right place. 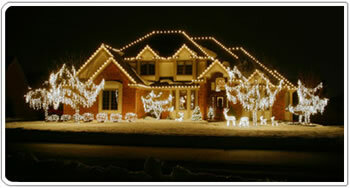 The Christmas season is the busiest time of the year for both home and business owners and the demand for Christmas light installers increases each year. 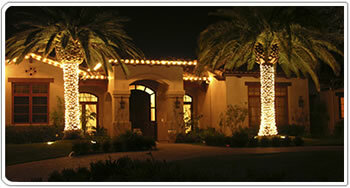 The Christmas Light Pros are trained with all the secrets and know-how to take advantage of this unique opportunity. NOW is the perfect time to get started in this young and growing industry! THERE IS HUGE DEMAND IN EVERY AREA OF EVERY TOWN! For an extremely low start-up cost you will gain access to a comprehensive network of resources ranging from our detailed business manual and personal training course to proven marketing materials and discounts on supplies. earn well over $100,000 in just 2 to 3 months! Our training will show you how to easily obtain high-paying customers as well as help you avoid costly mistakes. Once you're on your way in this business it won't take much time before you find yourself earning substantial income on a daily basis, your phone will be ringing with customers and your schedule will be full. Whether you are looking for a part-time or full-time business, year-round or short-term, this business can accommodate you! Christmas Light Pros T-shirts, Sweatshirts AND MORE ... ! "This business is so unique and specific - it's a great opportunity and has unlimited potential!" "Thanks a lot for doing the training and helping me out. It was definitely a success - I did $101,000 in sales my second year!" "The Christmas Light Pro's did an awesome job of training and they were always there to help with any questions throughout the season."